Tessa Maagdenberg is a visual artist working in painting, collaging and monoprinting. 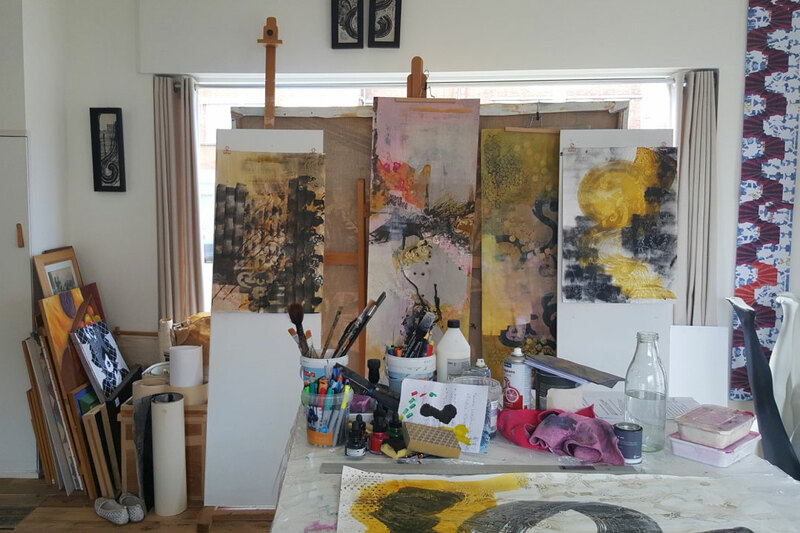 In her paintings she explores mark making through large bold brushstrokes with ink on wall paper, aiming for a perfectly balanced composition between brushstrokes, mark making and original design. In her collages the emerged patterns become the composition. A strong love for patterns is what connects both disciplines. Monoprinting is used as a tool in both the paintings and collage works, but can also form an artwork in their own right. Visit my work at one of the current exhibitions.